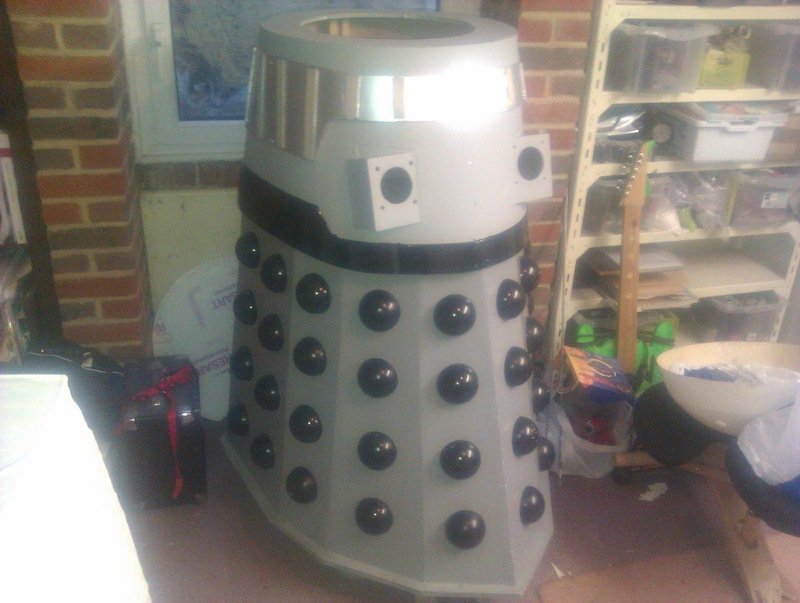 I started building this Dalek so long ago I can’t even remember when… I think it was probably 2002/3. Since then I’ve had half a Dalek taking up space in my basement, gathering dust. My recent visit to the Brighton mini Maker Faire sparked off a desire to do some creative things in the real world again, as I spend so much of my time in the computer world. So I joined the Planet Dalek forum, realised that my build is a little at odds with the plans (no much in the way of plans available back in 2002 when I started). I thought I’d bash on anyway, and this week I’ve been working on and off on the waist section. With luck I’ll have the waist sort of finished by the weekend, but it’s fiddly work.